Who knew that a flock of snowmen could be so scary! The Mill worked with the creative minds at TBWA Toronto, and Director Mark Zibert on 'Winter Warrior' for Nissan's latest spot. The Mill collaborated on this winter wonderland commercial creating CG snowmen characters, snow drifts and explosions that helped Mark Zibert bring his snowman thriller to life. On set there were actors wearing snowmen suits created by Legacy that were shot in camera. They only had around seven suits and a small army of snowmen were needed. The snowmen themselves were required to interact with other CG elements within the spot. This wasn't practical to film on set for difficulty and for timings so The Mill created multiple CG snowmen to join the attack. The final climatic end of the marauding snowmen was also created by The Mill. 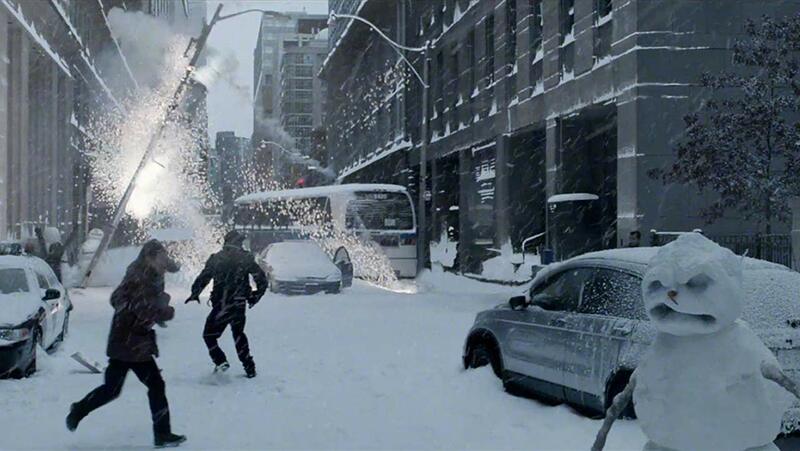 Kyle Cody, shoot supervisor explains: "We came up with the ideal creative solution to show the snowman being hit by the Nissan Rogue as we couldn't use the real car or real people! We decided to use styrofoam cylinders that we filled with snow and had the car drive into these. The result worked exactly how we all wanted. We then replaced the cylinders with the CG and practical snowmen packing more action (and snowmen) into the spot." In the end, the snowmen were no match for the Nissan.